This book presents six visionary essays on the past, present and future of the chemical and process industries, together with a critical commentary. Our world is changing fast and the visions explore the implications for business and academic institutions, and for the professionals working in them. 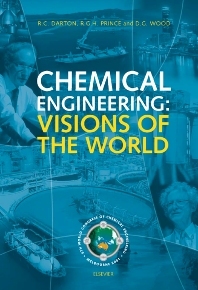 The visions were written and brought together for the 6th World Congress of Chemical Engineering in Melbourne, Australia in September 2001. For university departments of chemical or process engineering; chemistry; and mineral engineering. Also process engineering and manufacturing companies.